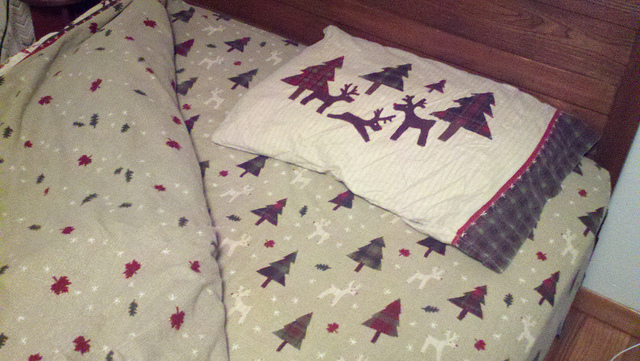 April 22, 2014 | Posted by Lee C.
It’s time to put away flannel sheets. The air is warming up and the nights are a little less freezing in many parts of the United States. It is time to think about spring cleaning and get ready to store your seasonal bed linens. Put away your flannel sheets, electric blankets and down comforters and celebrate spring! To get started, wash your winter sheets. Add a quarter of a cup of baking soda to the regular cycle to remove any buildup that has occurred over the winter. Then add a quarter of a cup of vinegar to the rinse cycle to soften the fabrics and remove any odors. Make sure your sheets are fully dry before you store them. It is wise to run the dryer twice or hang them out on a line. You want to prevent mold and musty odors from developing while the sheets are in storage. You also want to wash any comforters or blankets before storing them. Be sure to follow the suggested instructions carefully so you don’t ruin your bedding or your washing machine. You may want to take special items to the laundromat or dry cleaner. If your linen closet is in the bathroom, you may want to store your sheets and comforters in clear plastic tubs. Bathrooms can get humid and the moist air can make your sheets smell bad over time. Clear tubs will help you easily identify what is in each box so you can switch out sheets, blankets and comforters when the seasons change again. Alternatively, you can use cotton or plastic bags. These may work more efficiently with the space you have, but keep in mind they may not hold out moisture as effectively. Under the bed boxes work great for homes that are short on closet storage space. You can store each item under the bed that they are used on, making it easy to find them in the fall. Plastic containers will keep dust mites and mold from settling in the linens. Groups sets of bedding together so that your don’t lose any pieces. Place spare pillowcases and sheets in their own container. Now is a good time to get rid of any damaged or unused sheets. The more you stay organized now, the less you will have to move around, search for and dig through at the end of the season. The little extra time taken to carefully put linens away will save you closet space and time when the next season is changing. How do you prepare for warmer weather? April 16, 2014 | Posted by Lee C.
Studies suggest that animals dream too. Their brain waves during sleep appear very similar to human’s when dreaming. Dreaming is an important component of sleep. It happens during the rapid eye movement or REM cycle of sleep. With a few rare exceptions, everyone dreams. However, there is still a lot of mystery surrounding why we dream as well as what dreams reflect about ourselves. Here are some fun facts about dreaming. You can see how your dream life might to other’s. 1. 12% of people dream only in black and white. That number has gone down since the introduction of color TV. 3. Pregnant women both have more dreams and are more able to remember their dreams than other people. This is likely due to hormonal changes. 5. During an average life span about six years is spent dreaming. 6. Even if it seems you see an unfamiliar face in your dream, you can only dream about faces you have seen before. 7. 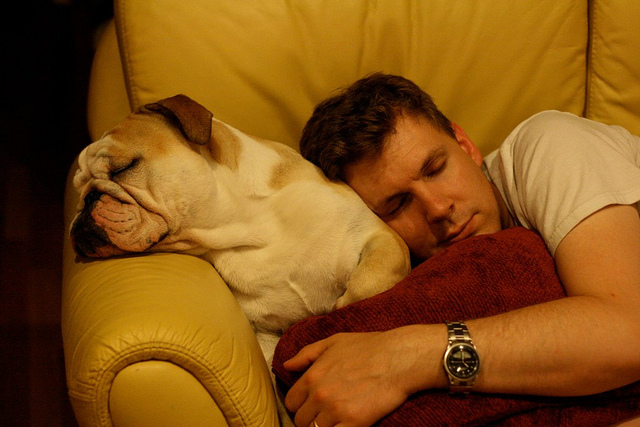 Normal snoring cannot occur during the REM cycle, but sleep apnea snoring can. 8. The most common emotion experienced during dreams is anxiety. Negative emotions in general are more common during dreaming than positive emotions. 9. There are common themes in dreams across various cultures. Being chased, falling, feeling frozen or paralyzed, flying and being late are all themes that have been identified throughout the world. It is important to get enough sleep at night. Your brain depends on experiencing all of the cycles of sleep to stay healthy. It is believed that most adults need around eight hours of sleep per night to be healthy. Having a dark, quiet and comfortable sleeping environment will help you relax and get quality sleep that encourages all of the sleep cycles. Dreaming during REM is a necessary part of refreshing and restoring your body. Do you get enough sleep during the night? Do you remember your dreams?